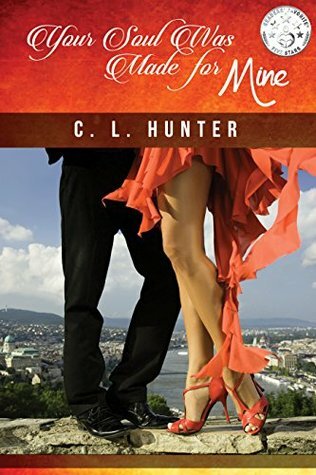 In her second book, C. L. Hunter mixes romance, fantasy and steamy scenes to bring together two lives from different parts of the world. Deacon is a strong willed Irish businessman living in Dublin, Ireland. Kate is a sheltered woman who works hard, so she doesn’t have to deal with her disturbing past, in Hilton Head, SC. After months of denying their feelings, when they see each other again, the sparks unite, but will the past keep them from a future together? Thomas and Calista, two angles, will try to help them find their way. With each step they take, it seems to take them three steps back. In this enticing tale of forgiveness, discovery and healing you won’t be able to stop turning the pages. Well be prepared to enter a world of fantasy involving mystical angels, romance and erotica all wrapped in a story that would touch anyone’s heart. This is the second novel in the Soul Mates series and it flowed on beautifully from Your Soul was made for Mine. Katlyn Reynolds is a very confident business woman from the United States that can hold her own in any boardroom but after forming an online relationship with Deacon O’Malley from Ireland, a major player in the largest Intel Company in Europe, she simply goes to pieces in his presence. In this book Kate sneaks into Ireland to see her friends Emmalyn and Nolan but it isn’t long before Deacon crosses her path. The chemistry is too much to stay away from each other but Deacon is in for a bit of a shock. This isn’t the Kate he thought he knew. They both have secrets from their pasts. Deacon finally believes in the existence of the angels Thomas and Calista, and I was enthralled with the story behind why humans have the dent between their nose and mouth. It is just charming. It is one of those stories that will always stick with you. C. L. Hunter has created a brilliant story line around Kate and Deacon that just left me emotionally spent. They both need to face their demons and hunt down their pasts but not everything is so cut and dried. Once you know something then it can’t be unknown. I am still on a high from reading this book. I loved the first book but this one is definitely the heart and soul. So looking forward to the third book coming out soon. C.L. Hunter started writing poetry as a young girl. Her grandparents owned newspapers in Arkansas: the McCrory Leader and the Augusta Advocate. She’d send them those poems. In return they’d print them in the weekly newspaper and send the clippings back to her. That started her love for writing. She attended Arkansas State, studying business, but started a family early having three children. Hunter considers herself a Floridian, having lived in Saint Augustine since the age of seven. She loves the beach and hot, humid weather—the hotter the better. She is an avid gardener, loving every type of flower God created. You’ll find flowers in all her books. She also loves boating and anything that has to do with the water. When she’s not writing, she’s a design consultant for a custom homebuilder in Jacksonville, Florida. Hunter has written several short stories, but keeps them under lock and key. Her first novel, Your Soul Was Made for Mine, won Readers Favorite Silver Award and the Benjamin Franklin Digital Silver Honoree Award.